Anything is possible when it comes to your credit. Plenty of factors can improve your credit score — the three-digit number lenders use to determine whether to give you credit and at what interest rate. Among them is your credit mix. Whether you have a variety of credit types plays a role in your score. So does that mean if you’re relying on credit cards alone to build your credit that you will kill your credit score? Not necessarily. A big reason you can build a good credit score using credit cards alone is because credit mix is one of the least important factors in a credit score. It makes up just 10 percent of FICO credit scores, which are the most commonly used scores. FICO scores generally range from 300 to 850, with the average score being 695. “You’re not penalized because you only have credit cards,” said credit expert John Ulzheimer. “You’re just forgoing some of the value you would’ve earned by having diversity on a credit report. Although credit mix is one of the least important factors in a credit score, there are instances when it can have more of an impact. For example, credit mix can be a bigger factor if you don’t have much other information on your credit report, according to myFICO, the consumer division of Fair Isaac — the creator of the FICO score. “For someone who just has credit cards, there’s added importance in managing them properly,” Ulzheimer said. You can check your credit report for free at AnnualCreditReport.com to see what information is on it that is affecting your credit score. If you’re trying to boost your credit score to 800, having credit cards can actually help. “One of the things we recommend is that a person have one or two credit cards because credit cards can help you build your credit more quickly,” Griffin said. That’s because credit cards can weigh more heavily in score calculations than other types of credit because they allow the consumer to make decisions how to handle that credit. “You decide how much you charge and how much you pay,” Griffin said. You don’t have that sort of free will with installment loans that require you to pay a certain amount each month. So if you’re managing your credit cards well, it will be reflected in a good score. If you want to build good credit with credit cards alone, you have to pay your credit card bills on time. Payment history carries the most weight of any factor in a FICO score — 35 percent. So making late payments is one of the biggest credit score mistakes. “That will trash anyone’s scores,” Ulzheimer said. After payment history, the amount of debt you have as a percentage of your available credit — known as the credit utilization ratio — is the second most important factor in your credit score. Ideally, your total utilization across all cards should be less than 30 percent to have a good score, Griffin said. But you’ll need to keep your total balance to less than 10 percent of your total credit limit if you want to build an excellent credit score, Ulzheimer said. If you pay your balances on time and keep your utilization low, “there’s no reason why your scores can’t be even above 800,” he said. One way to keep your credit utilization ratio low is to increase your credit limit. Start by asking your card issuer to increase your limit. You also can boost your limit by getting more credit cards. “Over time, you can accumulate enough cards so that limit is so high that normal monthly spending doesn’t exceed 10 percent,” Ulzheimer said. Opening a new credit card account also is a good strategy for people who have a high balance on an existing credit card. You might be able to boost your score by transferring some of your balance to another card to lower your utilization ratio, Griffin said. However, you’ll need to work to pay off credit card balances to see a significant increase in your score. If you want to increase your credit limit by getting more credit cards, Griffin cautions against applying for a lot of new cards at once. This could drag down your credit score a little, he said. Even if you open just one new card, it could take three to six months before you seen an improvement in your score – even longer if your score is very low, Griffin said. He recommends using a tool such as Experian’s CreditMatch to find the right credit card for you based on your credit score and credit habits. Despite what you might have heard, having credit cards from retailers isn’t a bad thing, Griffin said. But you need to resist the temptation to open several cards to get instant discounts at stores. It could hurt your credit score if you open more than one or two in a short period of time. You also need to have a plan for how you will pay off the balances on any retail cards you open because the interest rates typically are high. “It’s not free money,” Griffin said. If you open a credit card account, you need to make a purchase periodically and ideally pay that balance in full each month, Griffin said. Otherwise, your credit report won’t show any activity on that line of credit. “In order for scores to include an account, you need to have activity — typically three to six months of activity,” he said. Plus, card issuers will close accounts that haven’t had any activity in a while. You can build good credit with only credit cards. 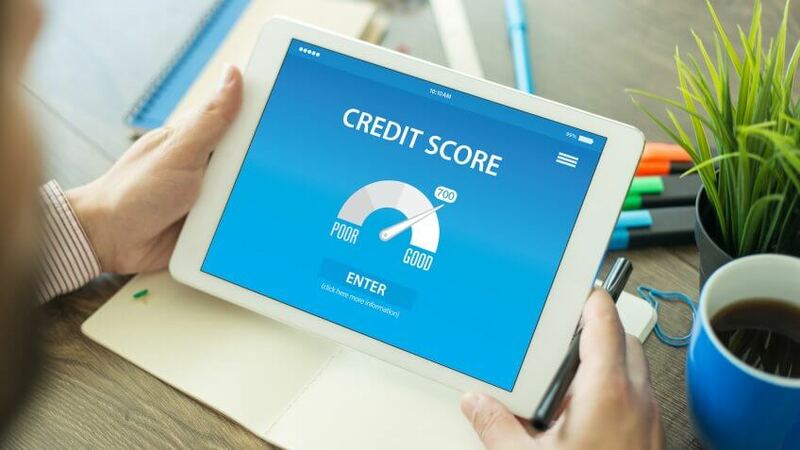 However, Ulzheimer said your score will be better if you have revolving credit such as credit cards and installment credit such as auto loans and student loans. If you have little credit or bad credit, you might be able to boost your score with a credit-builder loan. Typically, credit unions offer these installment loans that require the borrower to pay them back over a short period of time, such as six months to a year, Ulzheimer said. The loan amount actually is put into a savings account — not given to the borrower. Once the loan is paid off, the borrower gets the amount of the loan plus interest. Plus, the borrower builds better credit in the process. GOBankingRates > Credit > Credit Score > Can You Build a Good Credit Score Using Only Credit Cards?